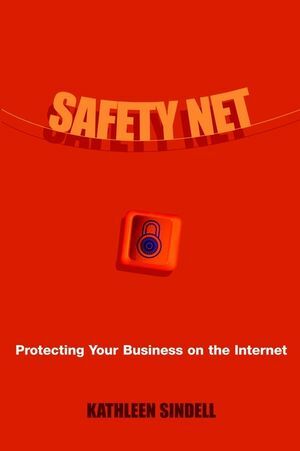 Written by a respected expert in the field of e-commerce, Safety Net shows managers, considering Web commerce, the different types of attacks online businesses can experience and details prevention, detection, and recovery countermeasures. Kathleen Sindell provides managers with easy-to-follow directions on how to determine exactly how vulnerable their current system is and how to create an effective security policy that meets the unique requirements of an online business. Readers will learn how to set security policies for customers and internal users; uncover the most common online business vulnerabilities; ensure their business from new types of frauds and cyber crimes; acquire defense tactics for today and tomorrow's virus outbreaks; use multitiered security approaches for protecting distributed offices; and much more. KATHLEEN SINDELL, PhD, is an expert on electronic commerce, a popular speaker, and an adjunct faculty member of the Johns Hopkins University MBA program. She is the author of numerous academic and professional books, articles, and Web sites. Sindell is a dynamic speaker, writer, scholar, and consultant who provides authoritative publications about management, finance, and real estate in the e-commerce environment. Top Security Troubles for Online Businesses. Determining the Impact of Security on Your Bottom Line. Your Online Business and Intrusion Detection. Reducing Denial of Service Attacks. Handling Public Relations After a Cyber-Attack. Protecting Your Web-Based Business from Invisible Cyber Crimes and Frauds. Firewalls and Protecting Your Distributed Office. Safeguarding Your Customers' Privacy and Personal Information. Antivirus Technology and Your Online Business. Developing an Effective Security Policy.